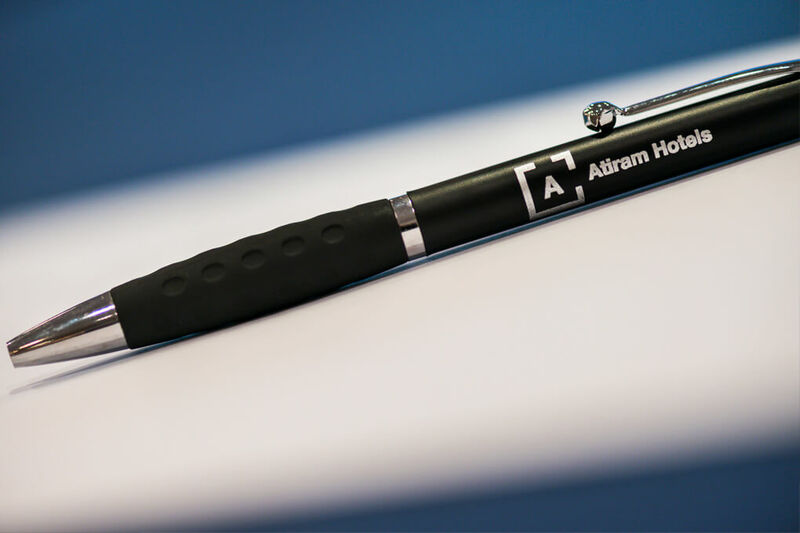 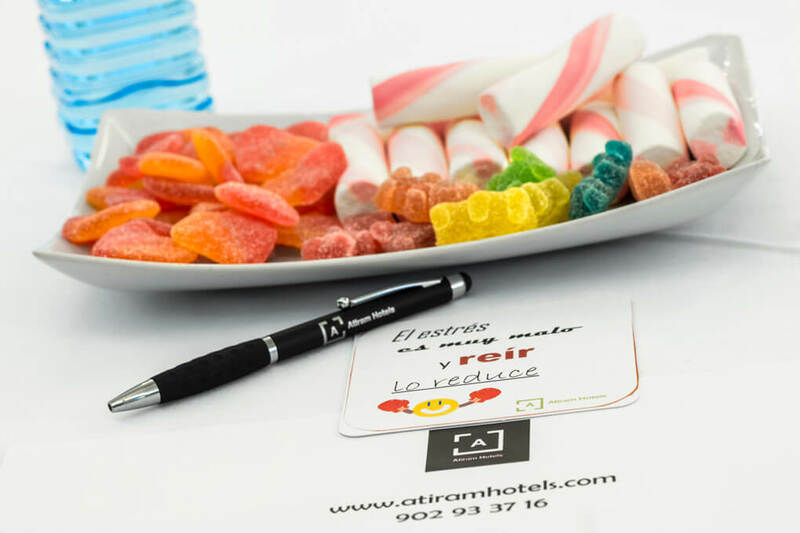 At Atiram Hotels we know how to organize your event to be a succes. 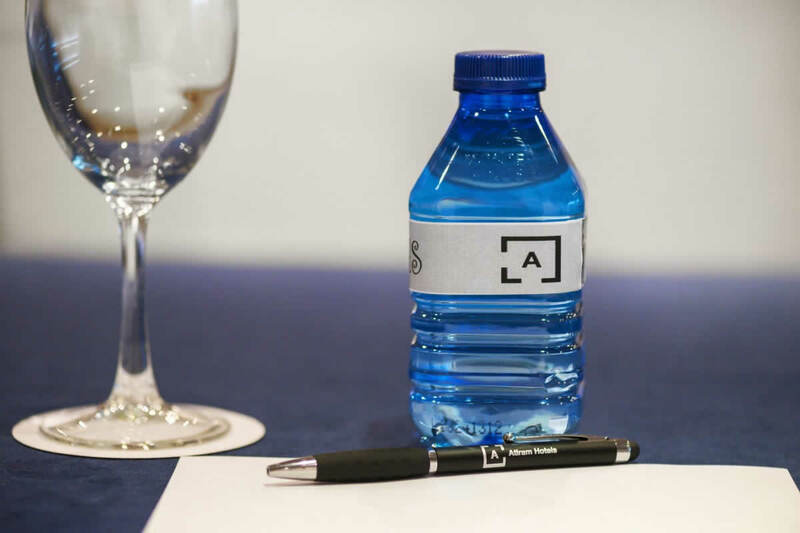 Taking care of the details to make your celebrations a success. 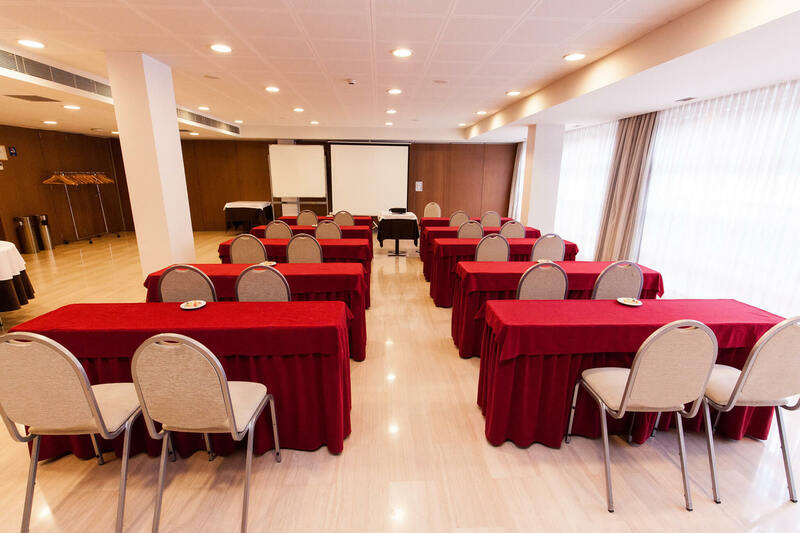 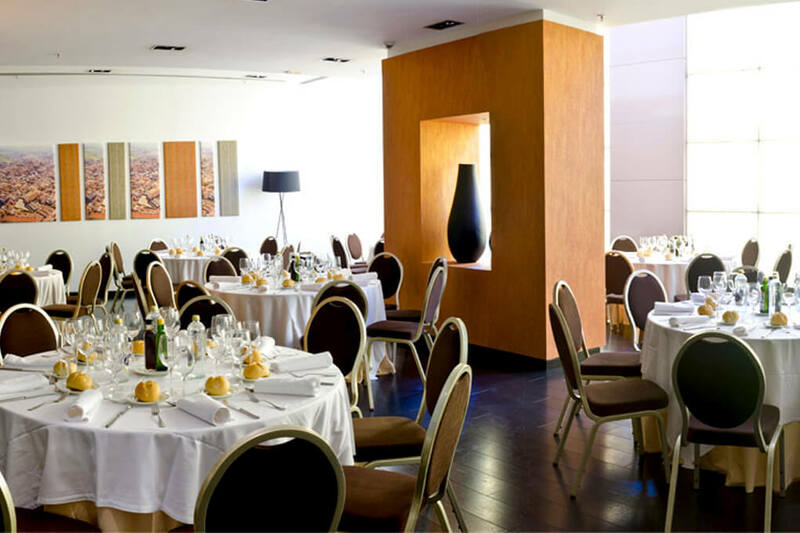 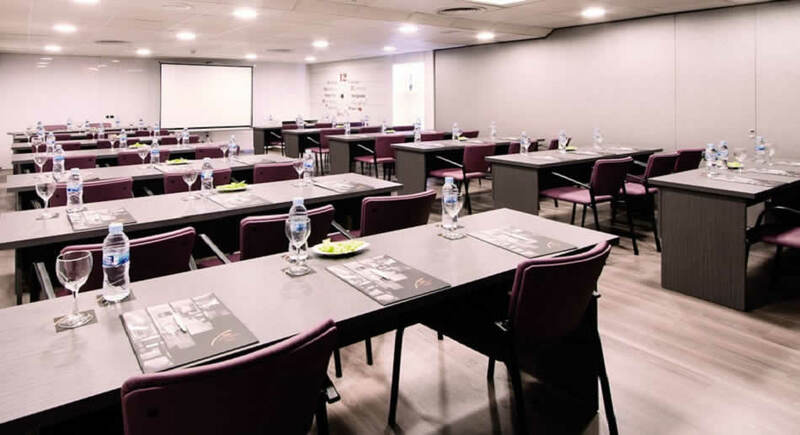 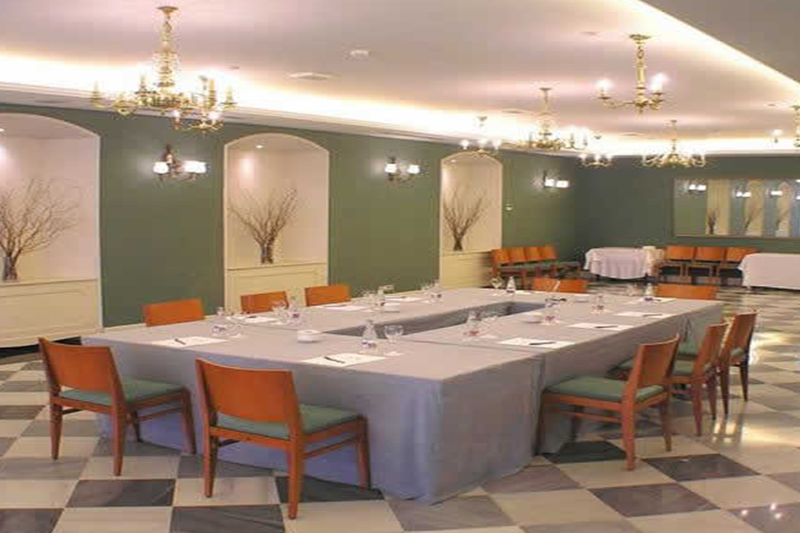 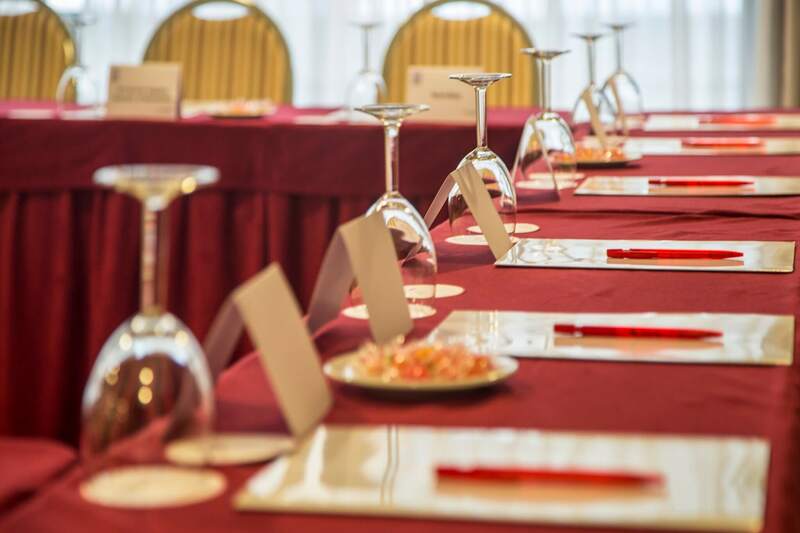 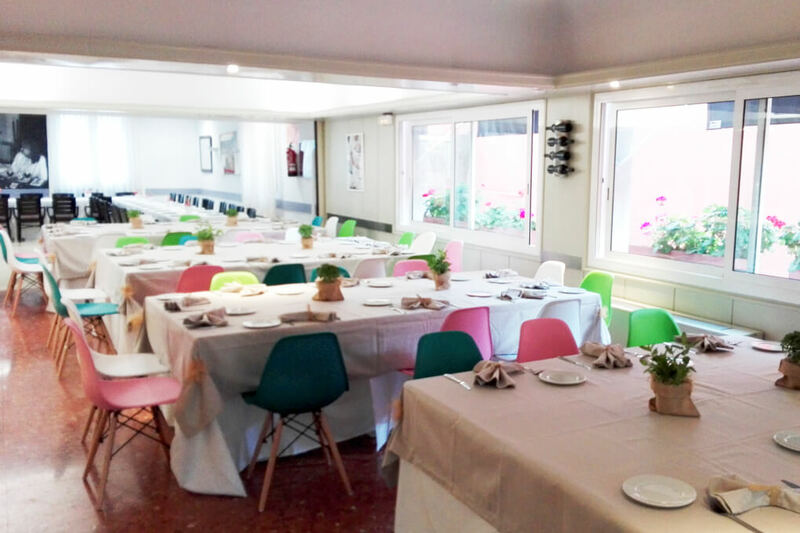 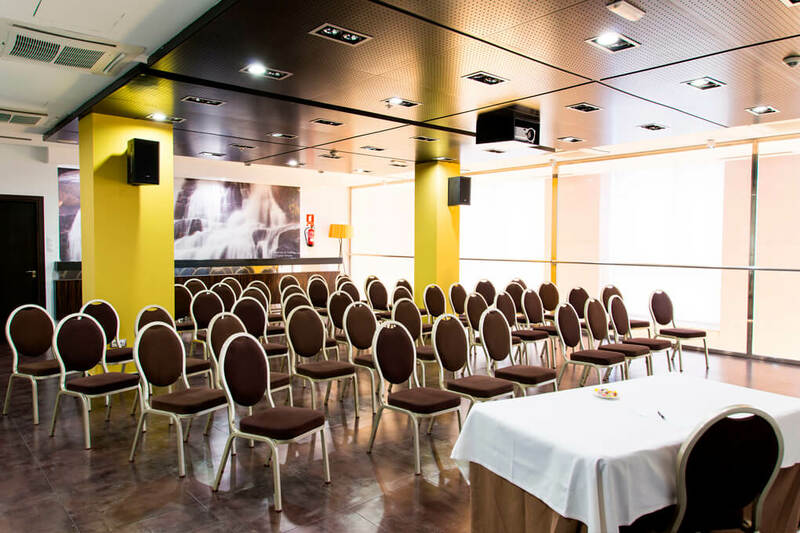 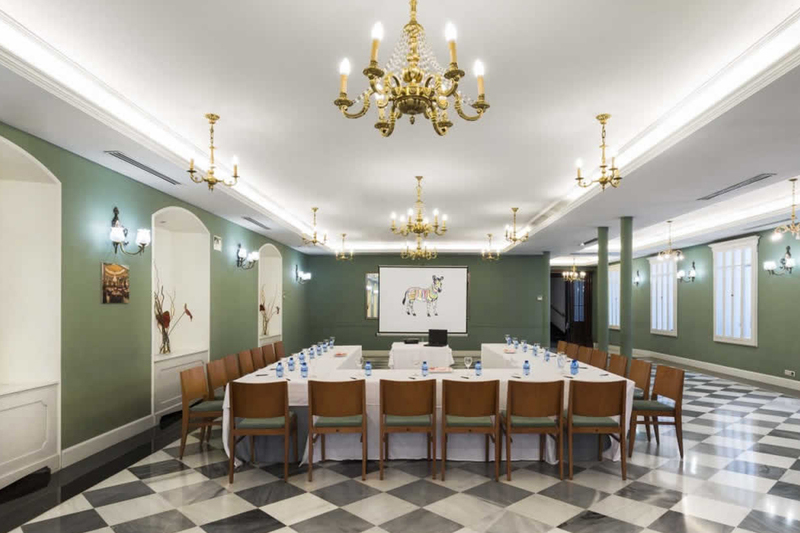 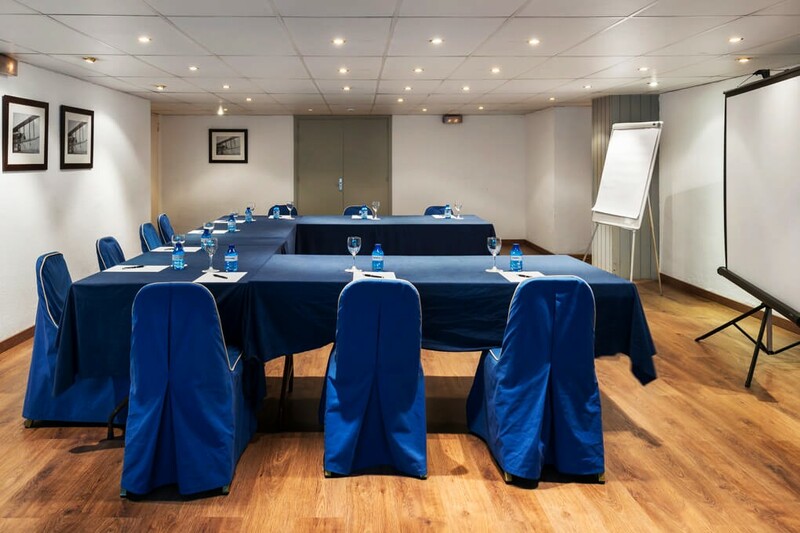 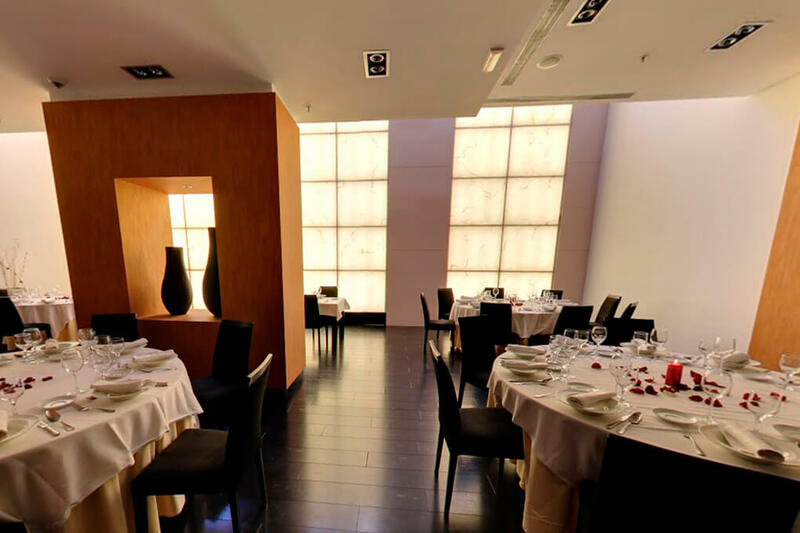 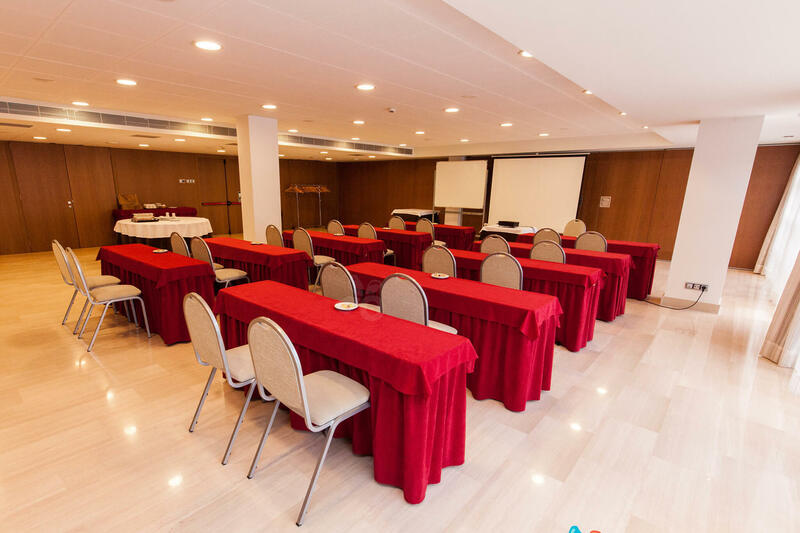 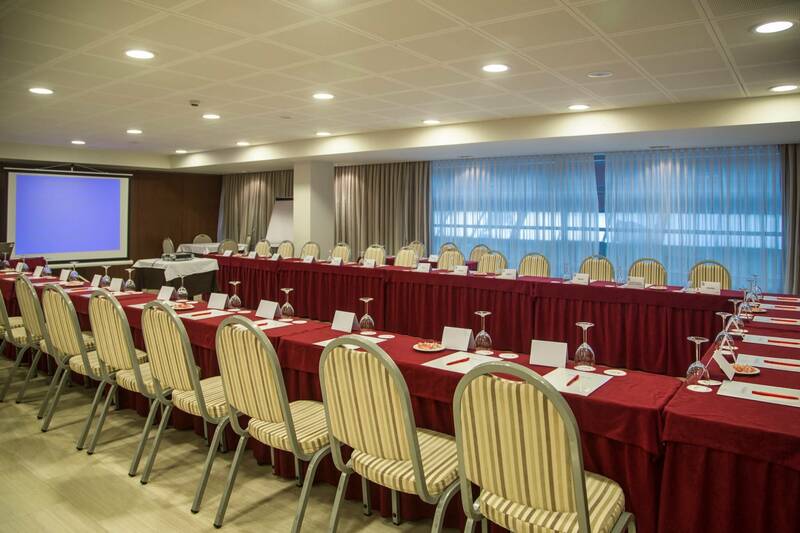 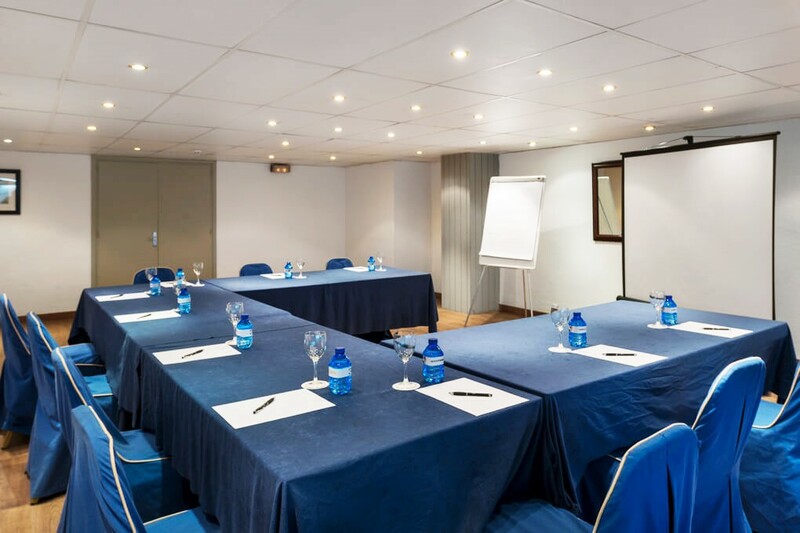 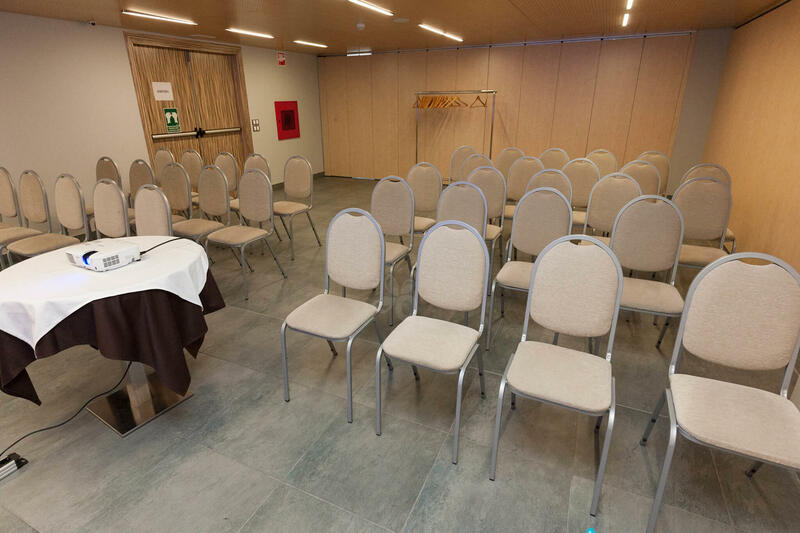 The hotel has the magnificent Sala Glorieta, 195 m2 with natural light, ideal for business meetings, banquets, presentations, conferences or any kind of social event. 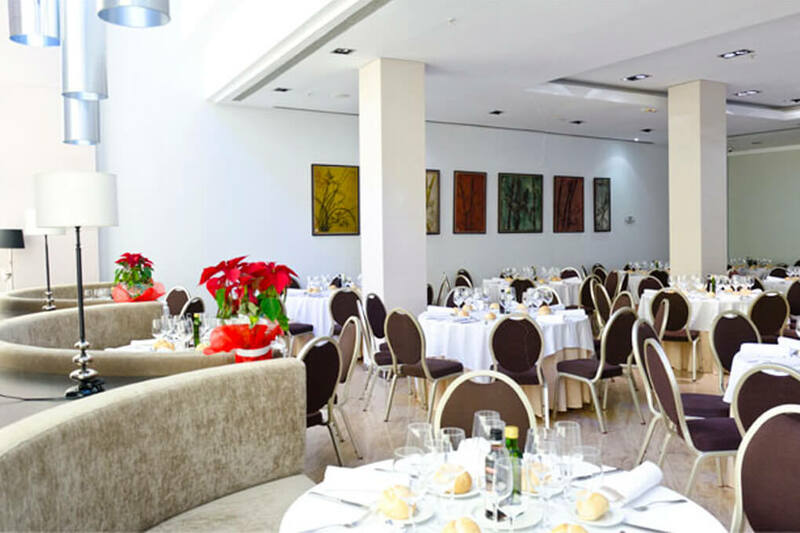 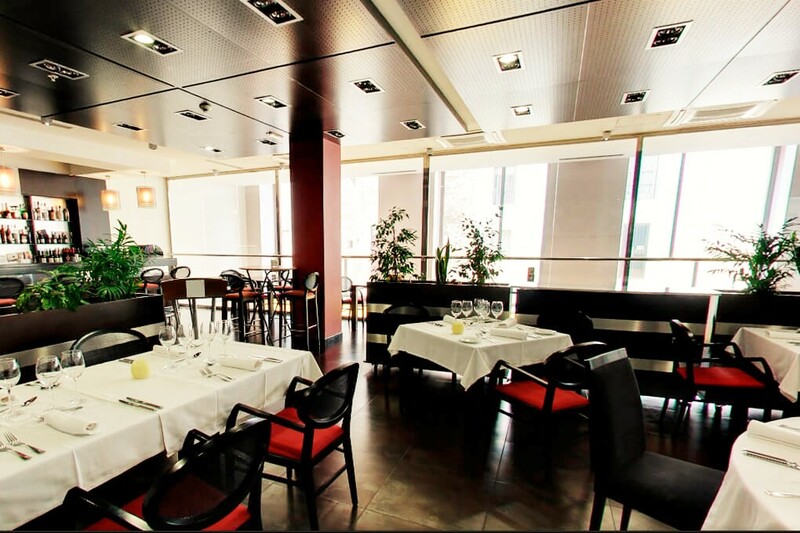 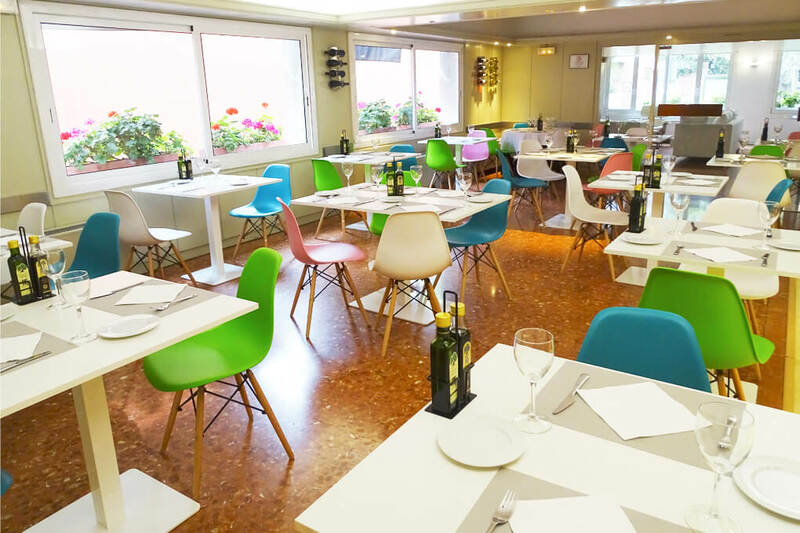 The Salón Glorieta has air conditioning or heating according to season and WIFI service. 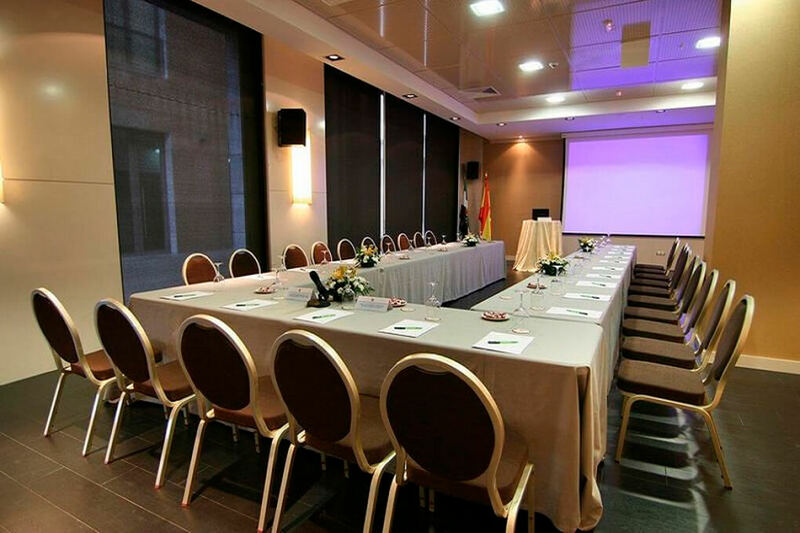 In addition, and if the client wishes, we have all kinds of office material to make your meeting a total success. 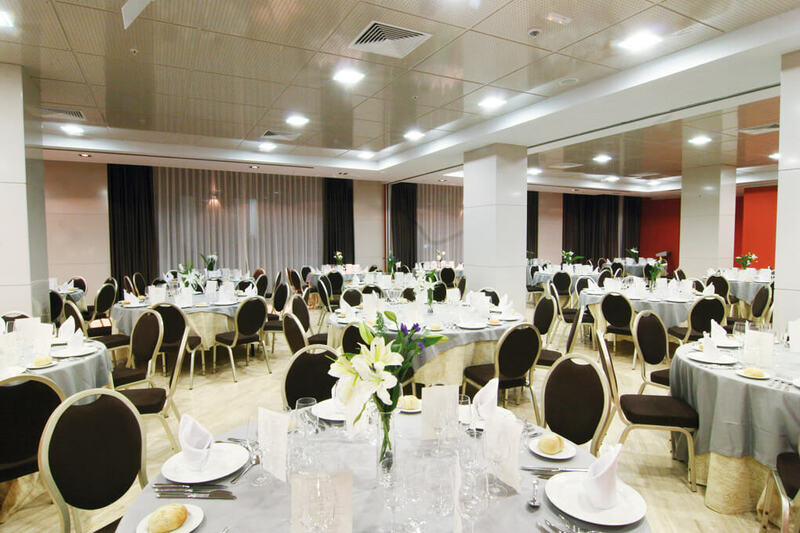 With its 195 m2 it has a total capacity of 100 people in theater, 150 people in cocktail and 100 people in assembly Banquet. 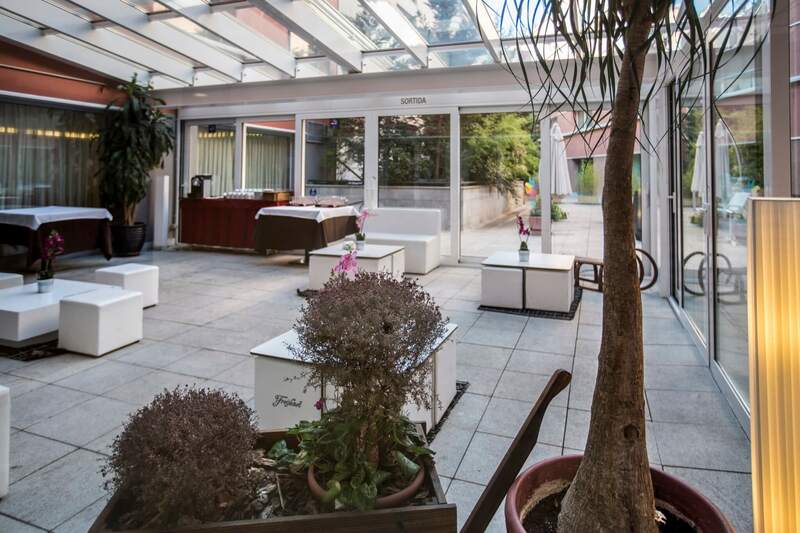 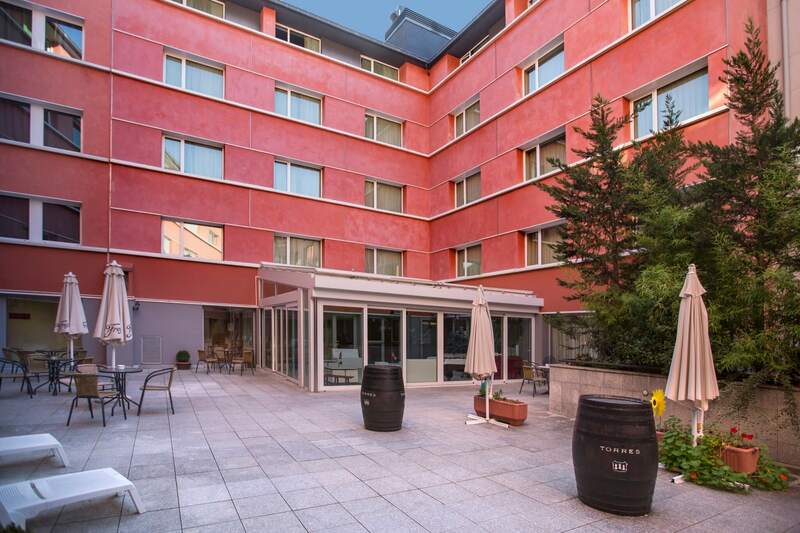 We also have at your disposal a small outdoor terrace next to the lounge to make any type of coffee break and aperitif. 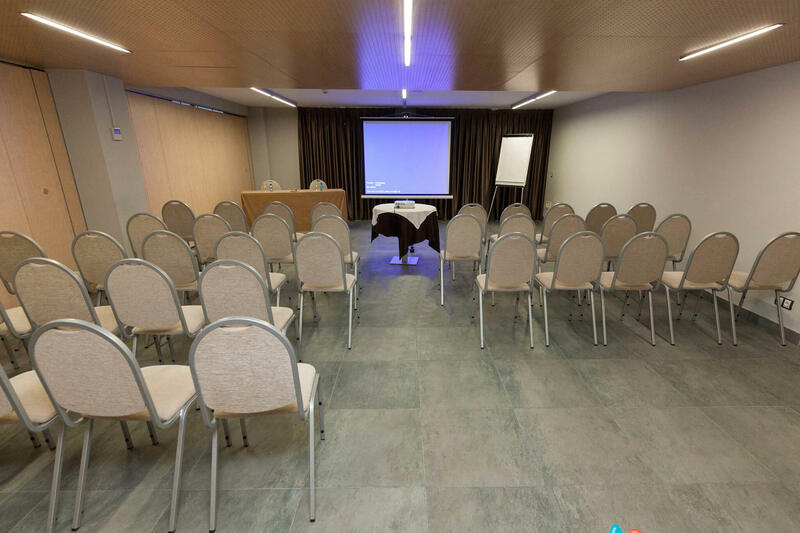 Lounge of 70 m2, totally unobstructed, available for blunt events, meetings, courses, presentations of product, show rooms. 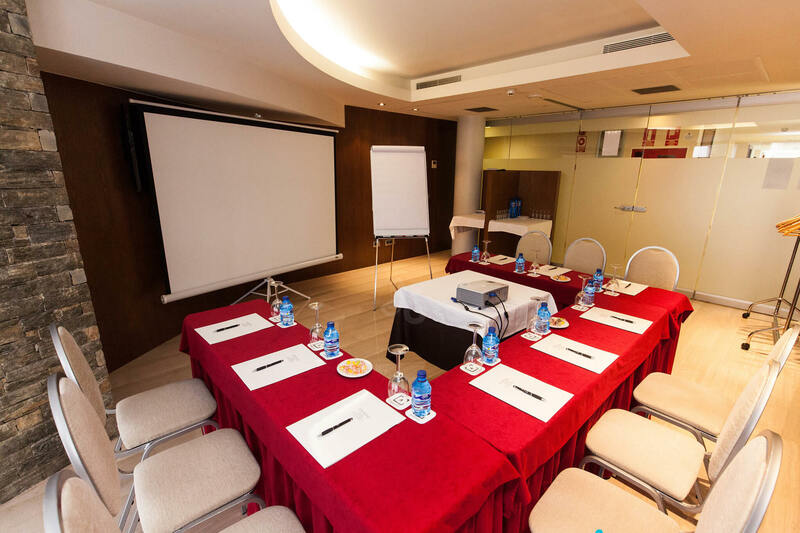 It is provided with audio-visual technology . 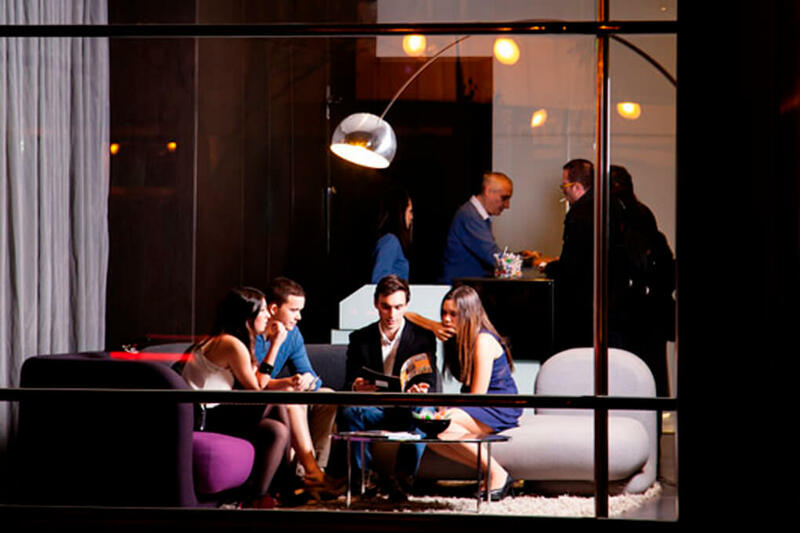 His structure allows configurations changed depending on the type of needed event. 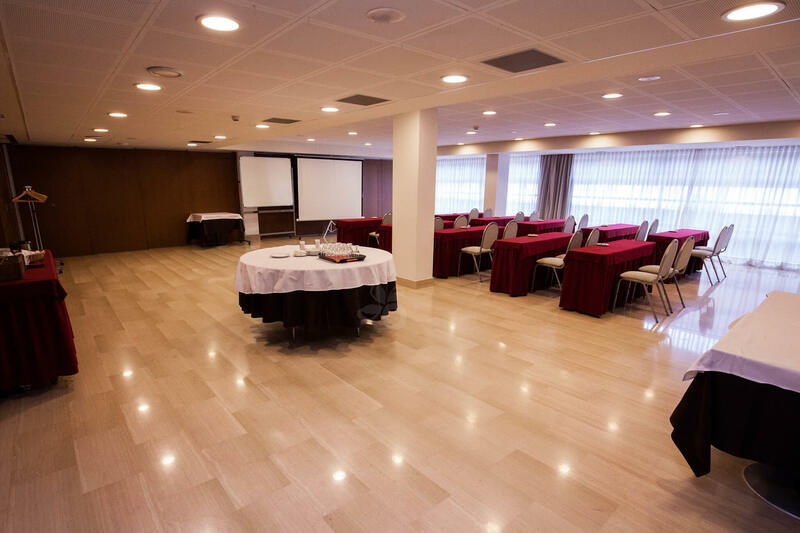 Lounge of 70m2, completely diaphanous, available for events, meetings, courses, presentations, show rooms. 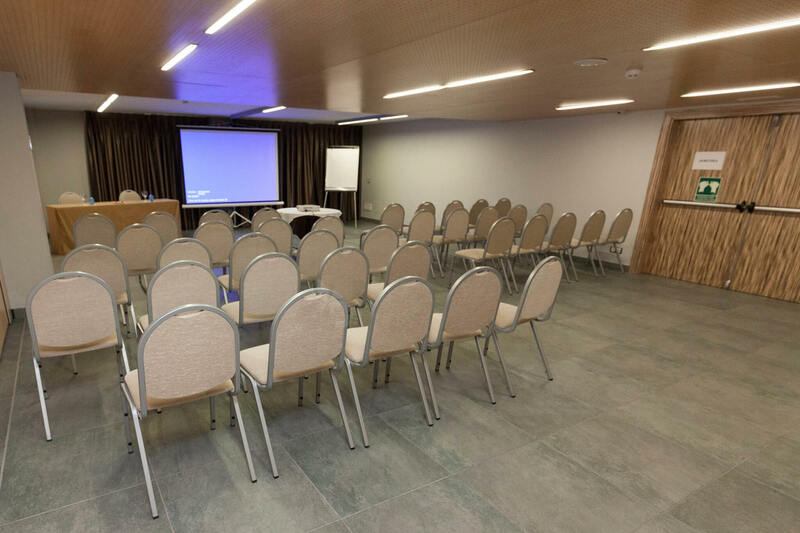 It is equipped with audiovisual technology for our customers. 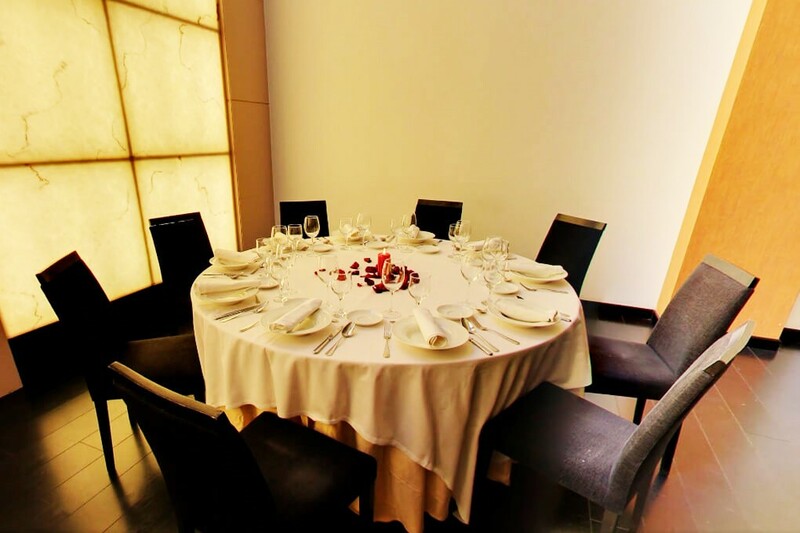 Its structure allows various configurations depending on the type of event required. 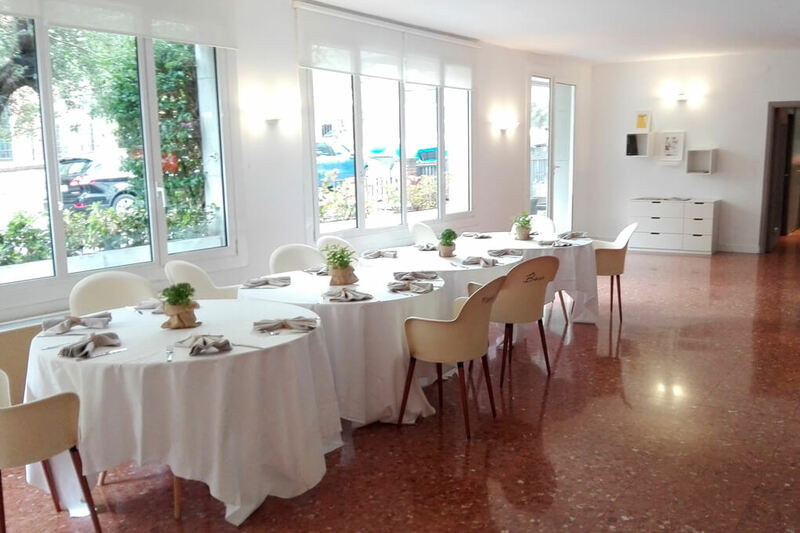 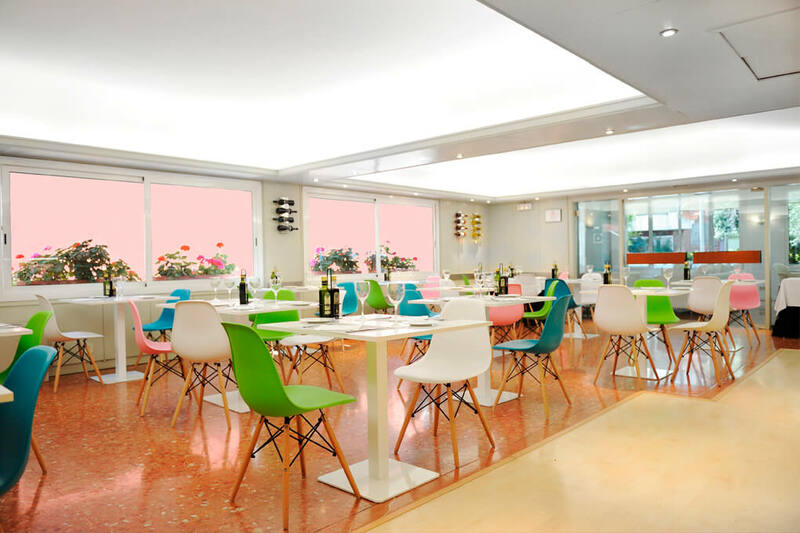 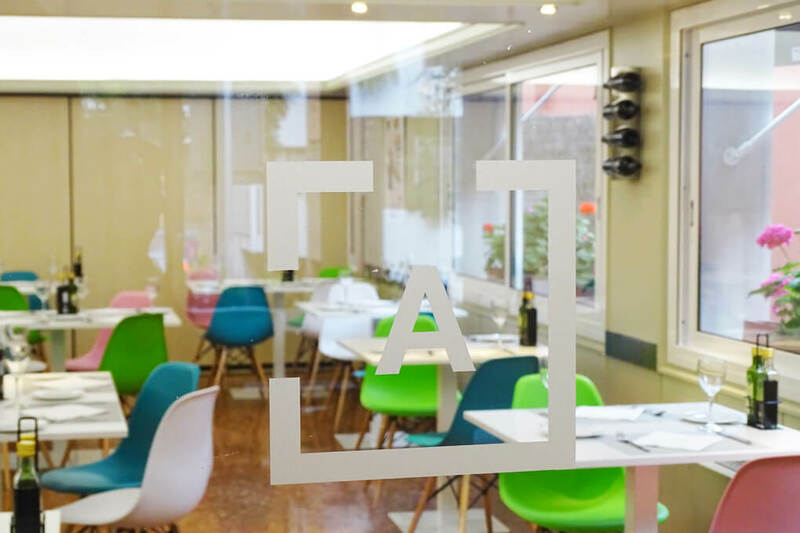 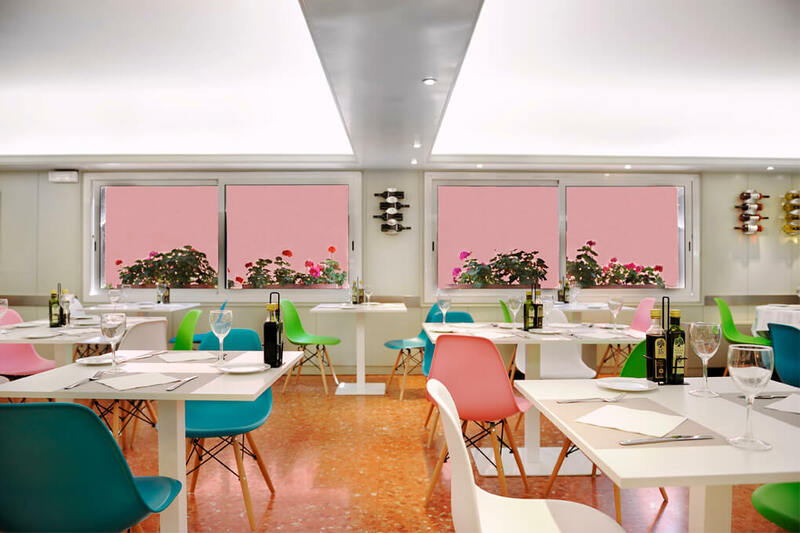 Our large glazed terrace for our clients, provides a bright and airy room.We also offer coffee breaks and lunches, which can be served in the room itself or, if desired, in our restaurant. 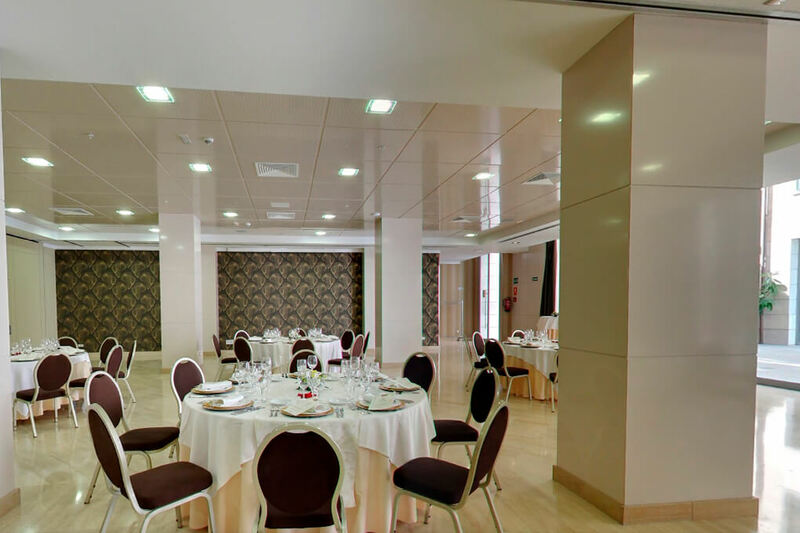 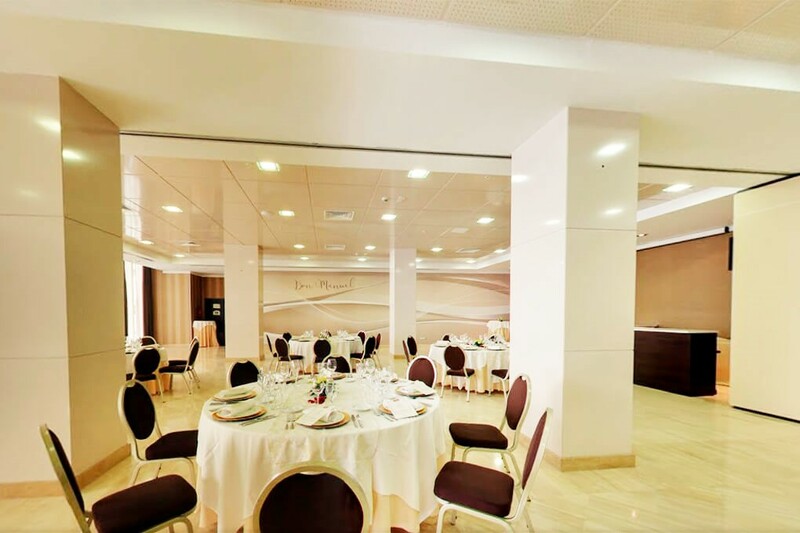 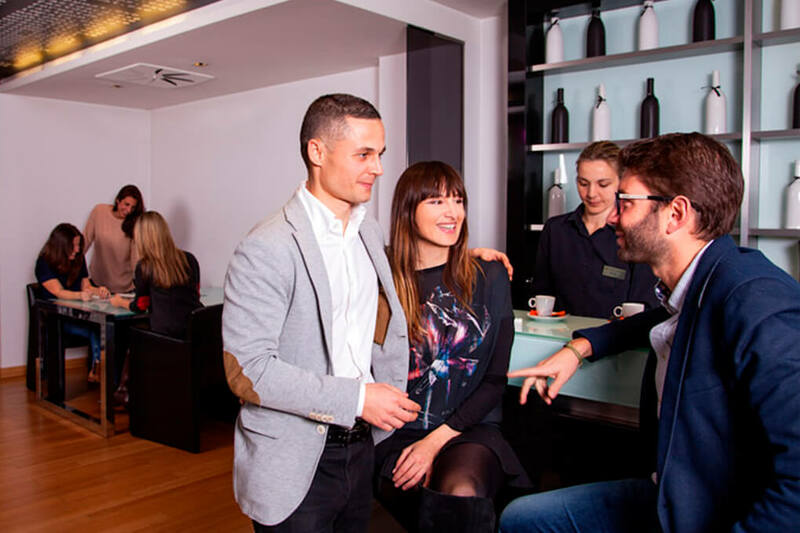 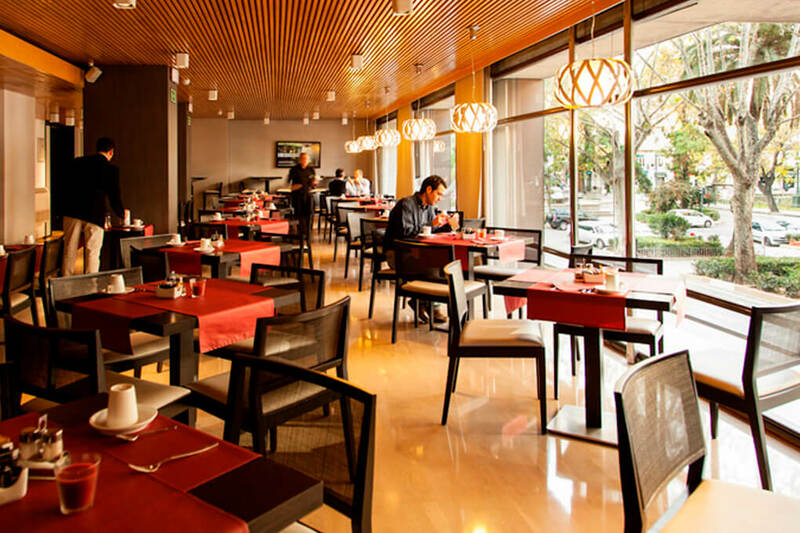 Gran Hotel Don Manuel is a modern center of congresses with restaurant specializing in Mediterranean cuisine, private parking, cafeteria and wide meeting rooms, with natural light and different capacities, equipped with the most advanced technology and audio-visual means. 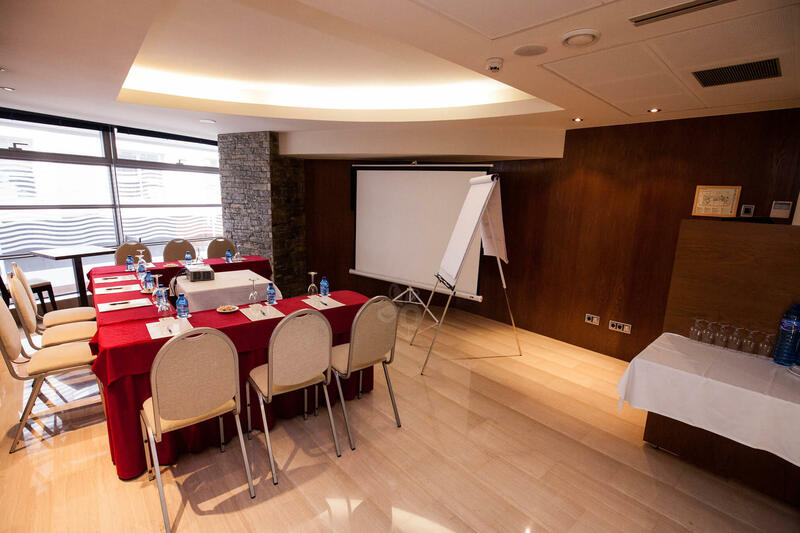 A great team of professionals with experience and commitment are waiting for you, who will provide you a successful meeting. 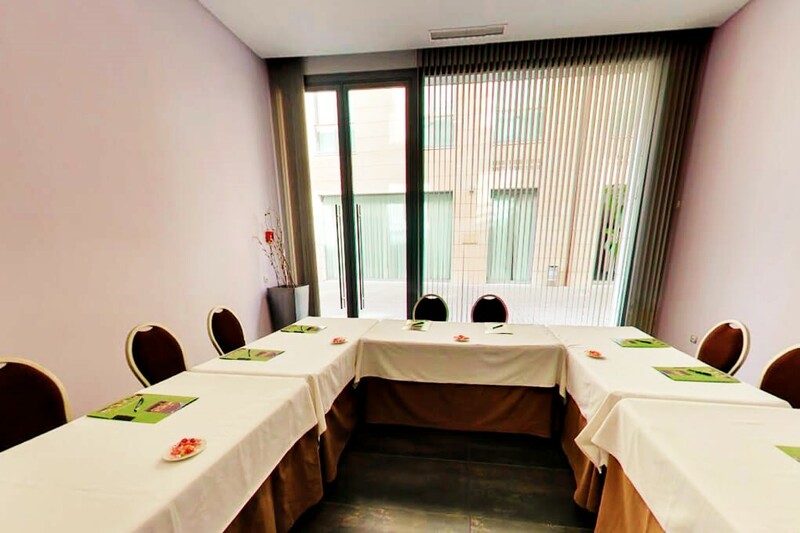 Available for blunt events, meetings, courses, presentations of product, show rooms. 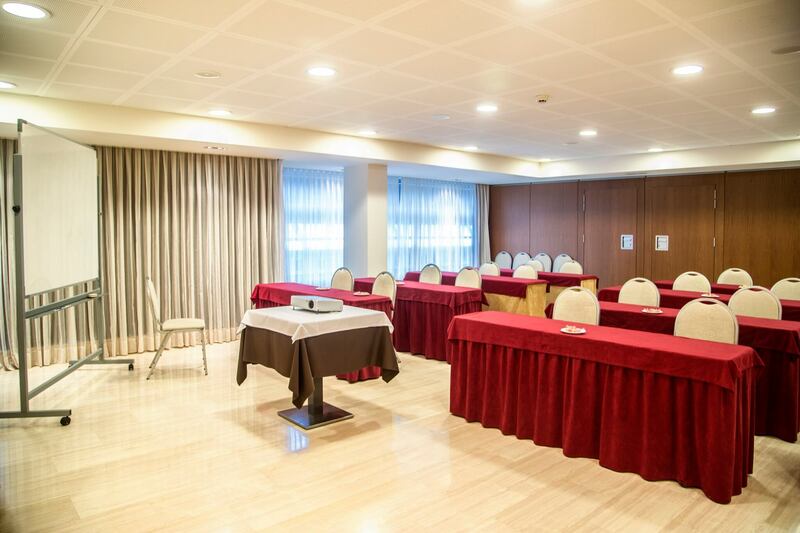 It is provided with audio-visual technology . 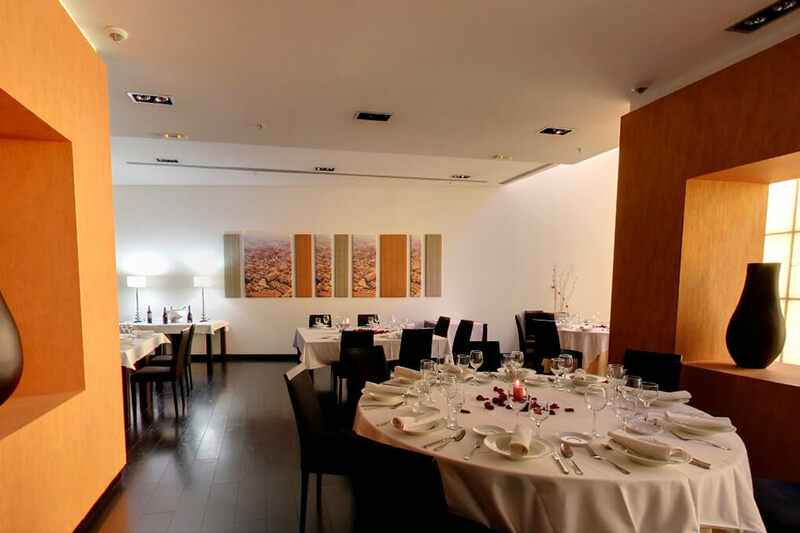 His structure allows configurations changed depending on the type of needed event. 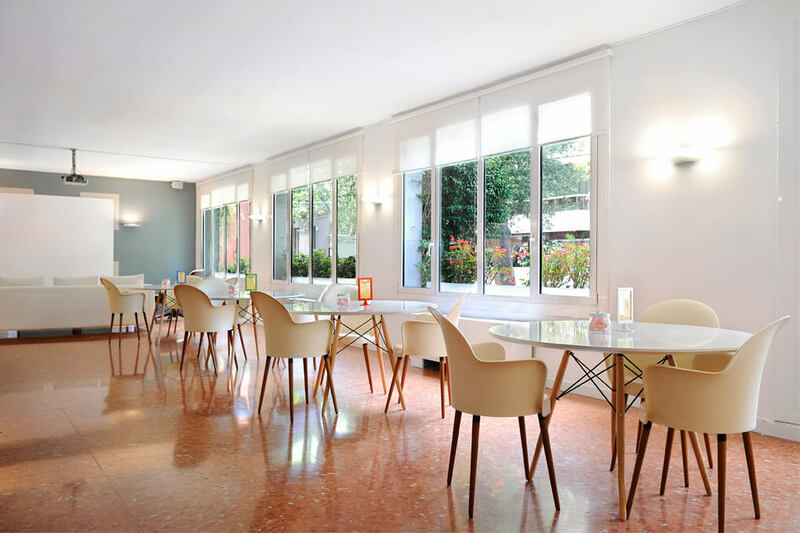 It relies on service of coffee breaks and work lunches , that they can be served in the own room or, if this way it is wished, in our restaurant.